St Kew Bed and Breakfast luxury en-suite accommodation - ideally situated for all the North Cornwall beaches, the Camel Trail, and houses and gardens including Lanhydrock, Pencarrow and the Lost Gardens of Heligan. Open all year. B&B stays in a stunning coastal location - with easy access to the coast paths - an ideal base for walkers or visitors simply wanting a relaxed holiday. This picturesque cottage retains it`s original 18th. century style and atmosphere whilst combining every modern convenience. 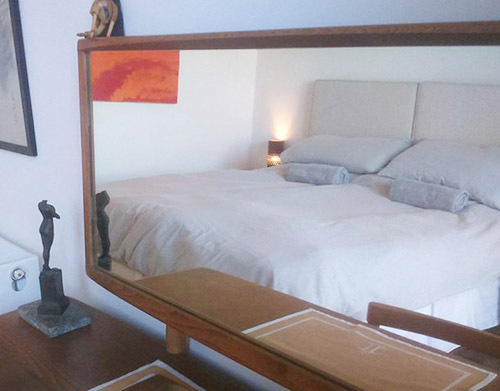 Bed and breakfast stays in Two beautiful en suite bedrooms. Trewetha Farm with its spectacular far reaching sea views is located half a mile from Port Isaac. With ample parking it is ideally located for the coast paths . This 18th century Farmhouse is tastefully and simply furnished. Some rooms have sea views. A varied menu is on offer for breakfast. Archer Farm - Bed and Breakfast accommodation, two spacious and airy double rooms, each with private facilities. 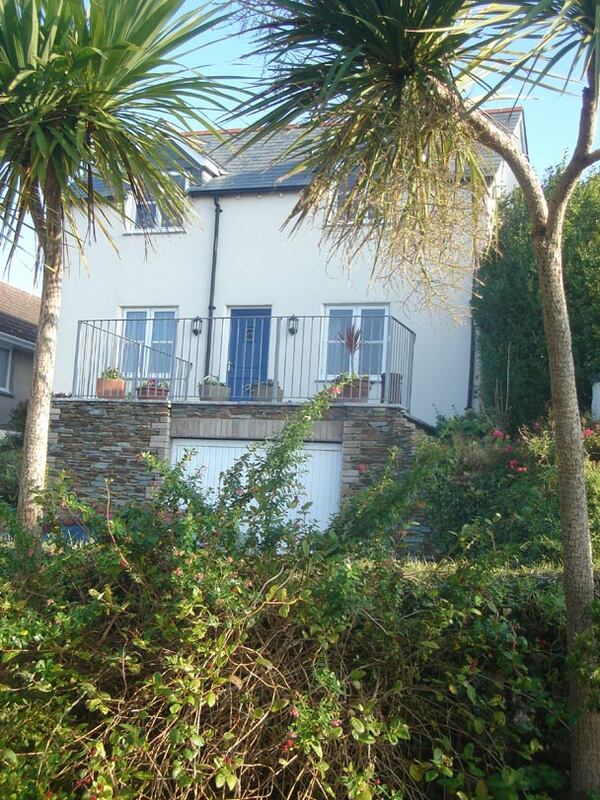 Situated just minutes away from Port Isaac & Port Gaverne bays. Occupying a unique position close to the sea set in 12 acres of pasture and woodland- tranquil surrounds an ideal base to explore North Cornwall in all its beauty. Double bedroom - at the rear of the house overlooking the garden with a breakfast terrace. Twin bedroom - at the front of the house with views over the valley. Ensuite Bed and Breakfast Holiday Accommodation in Port Isaac. two double rooms - both on the ground floor. One double room with en-suite shower facility and one twin bedded room which has sole use of a large family bathroom situated next to it. Both rooms have tea/coffee facilities, televisions, toiletries, hair dryers and access to WiFi. Port Isaac is in an Area of Outstanding Natural Beauty as seen in the ITV series Doc Martin. Port Isaac A warm welcome awaits you at Three Gates Meadow. Decorated and furnished to an exceptionally high standard this accommodation will feel like a home from home. There is private parking which is invaluable in Port Isaac during the summer season. Enjoy a relaxing holiday at The Terrace Tea Rooms Bed & Breakfast in the stunning North Cornwall Village of Port Isaac. Three ensuite bed and breakfast Rooms - two of which have wonderful sea views. Family room available. St Kew Andrew & Pip Campbell welcome you to Tipton Farm, a delightful Grade II listed building, which nestles in a secluded spot in the tranquil Cornish countryside, just outside the village of St Kew only a short distance from the A39 & is ideally locted for exploring Cornwall. Padstow Touring Park is a multi-award winning site we have received a Gold David Bellamy Conservation Award 2014, Cornwall Tourism Awards Camping and caravan park of the year Silver Award 2014/2015 and Holiday Park of the year 2013/2014 Bronze Award. St Minver Holiday Park St Minver Holiday Park is a spacious and attractive park surrounded by rolling Cornish countryside. All holiday homes, including caravans and chalets are well spaced out over acres of wooded grounds, but all within easy reach of the excellent facilities of the park. Trelights, Port Isaac A beautifully restored Victorian hotel set in 4 acres of gardens located high above Port Quin with panoramic sea views towards Polzeath and Port Isaac. Delightful spacious rooms - all with new bathrooms. New Residents lounge and bar. Ample parking. A small, friendly, family run hotel of great character where its guests can combine their stay with the delights of one of the area's finest Seafood Restaurants, Open All Year. A lovely Victorian country house built for the Earl of Wharncliffe. Port Isaac Private Victorian Hotel. A peaceful retreat, wonderful views overlooking Port Isaac Bay. Individually designed bedrooms, spa bathrooms, elegant lounge, cosy snug. Open fires, Licensed. Parking. Enjoying spectacular views over Port Isaac Bay and surrounding countryside, these six timber lodges and 2 cottages are furnished and equipped to a very comfortable standard providing excellent all year round holiday accommodation. Trewithick Farm is a luxurious, detached old Cornish farmhouse, sleeping 9 comfortably. Situated on a hill in a quiet rural hamlet of Trelights nr Port Isaac with far reaching views across surrounding countryside & North Cornish coastline. 4 miles drive to beaches at Polzeath, Rock. Cornish Seaview Cottages Cornish Seaview Cottages - 10 fabulous properties chosen for their great locations in Padstow, Treyarnon Bay, Porth Beach, Boscastle, Tintagel and Port Isaac. High quality family accommodation beautifully presented all with great countryside and sea views. Sleeping from 2  20. Eastcliffe A traditional fishermans cottage dating from 1750. Ideally located in the picturesque coastal village of Port Isaac, with views across the harbour. The cottage sleeps four people and has parking for two vehicles. Port Gaverne A delightful collection of restored 18th Century Cornish buildings including cottages and a traditional cob barn, built around a sunny enclosed courtyard, and two lovely apartments with fabulous sea views. Self catering Holiday Cottage in Port Isaac converted from a Grade II listed 18th century Barn. Mil Barn is a unique holiday location, situated in a valley five minutes walk from Port Isaac harbour. Mill Barn Holiday Cottage sleeps four people in one double bedroom with 5 ft double bed and one twin bedded room. Between these two bedrooms (accessible from both rooms) is a WC and washbasin. The lounge at Mill Barn is upstairs -with three piece suite, flat screen TV, DVD and electric fire. With views over Port Isaac Bay and Port Gaverne Penquite provides comfortable accommodation for 4 people. Recently renovated to a high standard and just a few minutes walk away from Port Isaac harbour. Providence Cottage offers you luxury accommodation in a superb clifftop location with breathtaking views over the harbour, coastline and miles of open sea beyond. A renovated 18th Century fishermans cottage in the heart of Port Isaac. With slate stone floor and exposed beams lovingly restored by hand, this property oozes charm and character. You can even keep and eye on your children if they go down for a paddle! Pendoggett Three fully furnished holiday cottages in a quiet rural location close to the North Cornish coast. Open all year and short breaks available they are ideal for walkers, golfers and touring Cornwall. Port Isaac A traditional family house is situated on the edge of Port Isaac overlooking Port Gaverne Bay. Superb coastal views. Only a few minutes walk from the harbour. Sleeps up to 7. Ideally located for exploring Cornwall.